I agree ... I absolutely loved the Angel GT's ... Unfortunately I tried the Road 5's last year and was rather disappointed ..
Will be going back the Angel GT's this year. 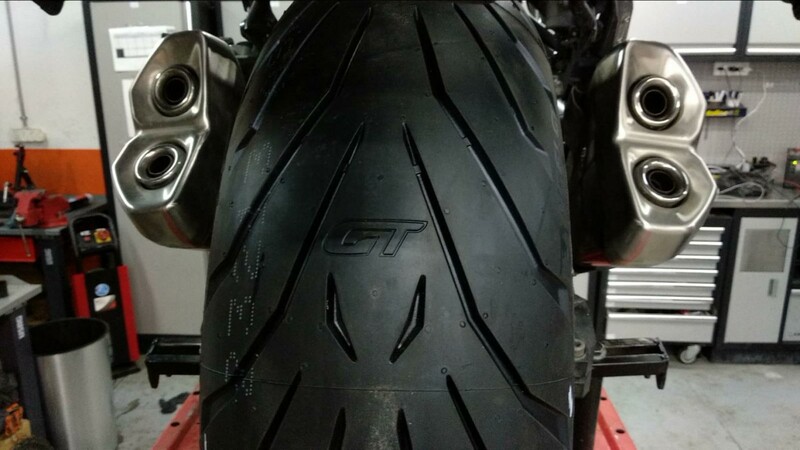 great tyres, I have used them on my last 3 bikes! Why were you disappointed with he PR5? Nb: OP I'm sure you'll have many happy safe miles on the GT. It’s the way the front tyre wears ... I changed to them (R5’s btw) for the Spain/Portugal trip last July. After some mileage, With the wide tread pattern the wear feathering (peaks and troughs) make the tyre feel a tad vague and when your coming down a mountains with hair pins ... not very confidence building. The Angel GT’s didn’t do this. To a high percentage of us .. these tyres are rubbish and vague and give no feed back. Wear them out and get a different set fitted.